One of the biggest events I work every year is the American Century Championship and today is day three. 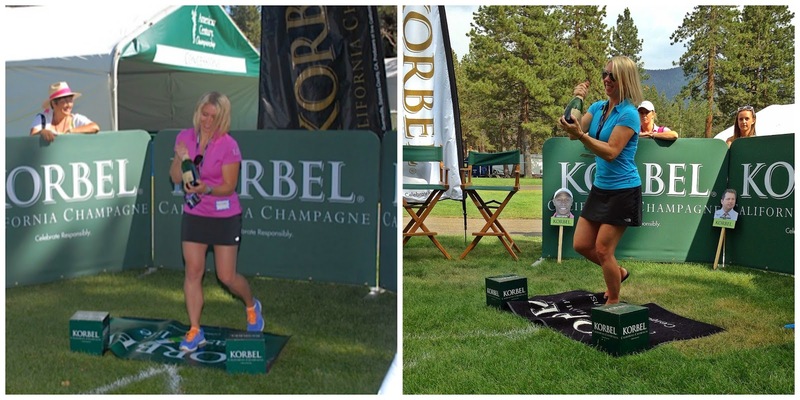 Each year Korbel hosts a Celebrity Spray-off on Thursday and the evening before media can give it a try. After yesterday I now have four years of poppin bottles under my belt. 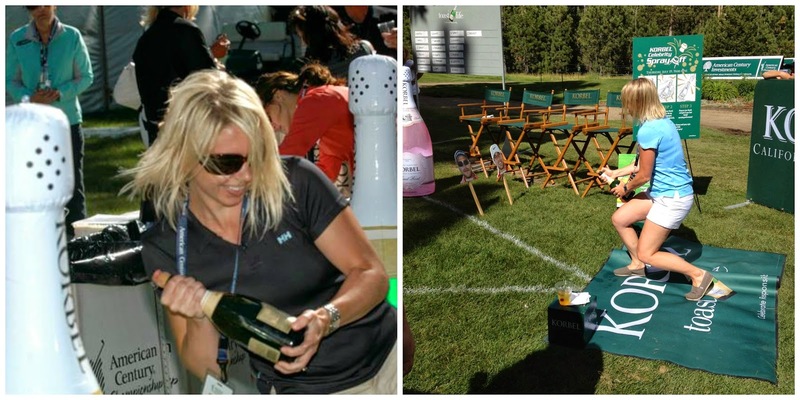 The goal of the event is to see how far you can pop the cork. 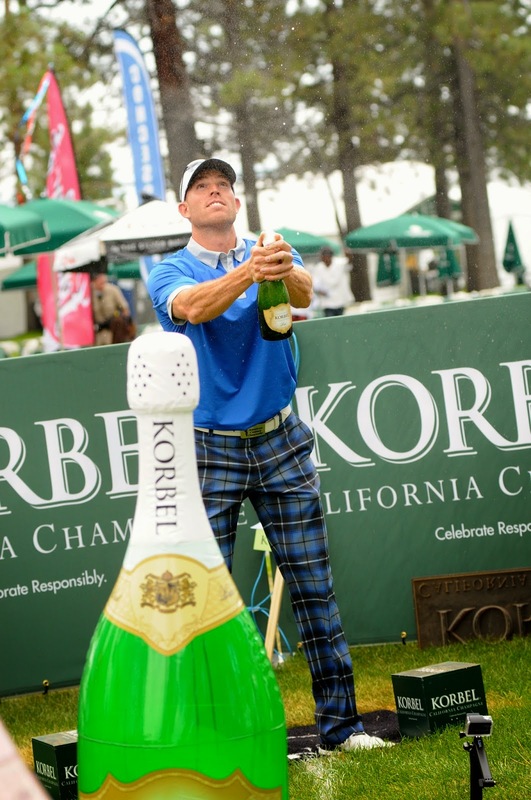 The cork that goes the furthest wins. And now for some awesome photos! Robbie Gould kicked off the media event yesterday with about 80 ft.
Over the past four years I've managed to pop the cork anywhere from 65 to 75 feet. It's all luck! Oh my gosh, how fun! I'm always too afraid to pop the bottles, but I should start. That's pretty awesome!